Recommended for ages 3 and up. Children under 3 will not be admitted. All children must have a ticket. Three enigmatic bald and blue characters take the audience through a multi-sensory experience. 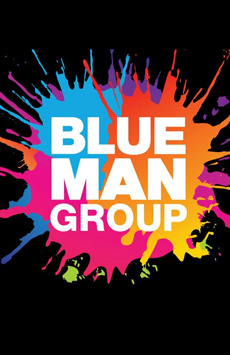 Blue Man Group will rock your world, blow your mind, and unleash your spirit. Leave your expectations at the door and let three bald and blue men take you on a spectacular journey bursting with music, laughter and surprises. 35 million people of all ages, languages and cultures know what Blue Man Group is really about. Now it’s your turn. DARE TO LIVE IN FULL COLOR. What Is Blue Man Group Like? Is Blue Man Group Good for Kids? Yes, by all means. These men don’t speak, hence they don’t even come close to using any bad language, making rude gestures or anything else that might be considered unsuitable subject matter for your children. 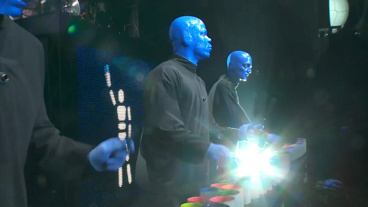 Fact is, if the Blue Men simply walked onstage and did nothing, kids could busy themselves for hours just looking at their faces. That these guys also roll out many a space-age bell and whistle makes the show an experience kids will never forget. Adults won’t, either. *Please note: Children under the age of 5 will not be admitted.